The Porta Nigra was added to UNESCO World Heritage list in 1986 together with eight other cultural monuments of the city of Trier. 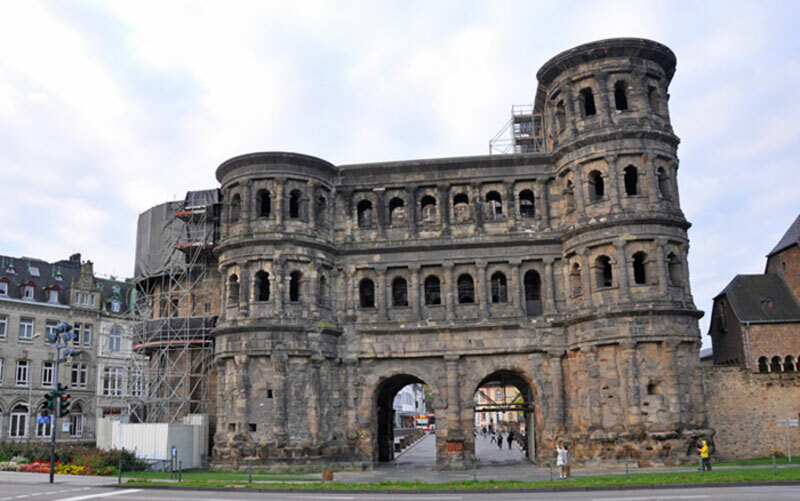 A precise and extensive as-built 3D documentation of the complex Porta Nigra is an essential foundation for research, conservation and the implementation of many other measures. We therefore documented using the latest recording technology and devices. 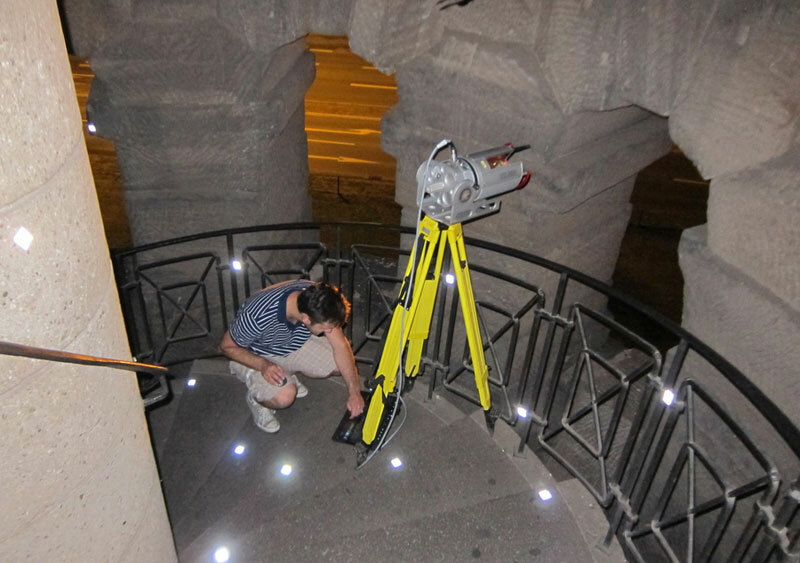 These include both geodetic and photogrammetric survey procedures, as well as 3D scanning of ornamental areas. In addition we also conducted classical manual survey. All data was combined with maps, sections, views etc. The work was completed in collaboration with Messbildstelle GmbH. Using Structured Light Scanning (SLS) the recording included a total number of 31 pillars (including basis and capital), five piers (including basis and capital), as well as 25 RM of window sill frieze (including ornaments) and lintel frieze (including ornaments). 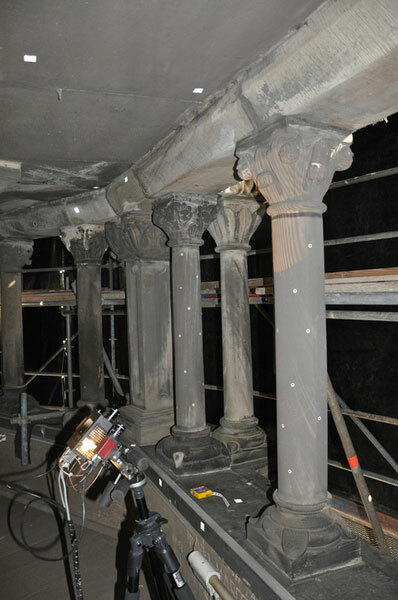 Further SL scanning was done in the area of the Gothic cornice, the chancel and the capitals of the 2nd floor of the Porta Nigra. In addition we also digitized two epitaph-reliefs. The area of the stairways within the East- and West tower were recorded using a 3D laserscanner. Despite many inaccessible and hidden zones it was possible to record the inside of the towers without the stairways, which were added later. In each case a textured 3D model of the East and West tower, plus textured 3D models of the capitals, Gothic cornice and reliefs were generated for the survey.